The Bow Group, the United Kingdom’s oldest conservative think tank, conducted a survey in partnership with Conservative Progress of more than 400 conservative students in Britain. They found that 81 per cent do not believe that the subject of the UK leaving the European Union (EU) is taught in an impartial manner, and of those, 97 per cent said they believed lecturing was negative towards Brexit. A large number, 85 per cent, also said they believe the public has a right to know what content is being taught and the level of bias with which it is being taught. This comes following outrage in the establishment media and liberal-dominated academia over Conservative MP Chris Heaton-Harris‘s attempt to research the level of anti-Brexit bias in Britain’s higher education institutions leading to accusations of him being a “McCarthyite”. “The protest by academics to Chris Heaton-Harris MP’s attempt to investigate the level of bias on campus tells its own story,” wrote Bow Group Chairman Cllr Ben Harris-Quinney in remarks accompanying the survey. 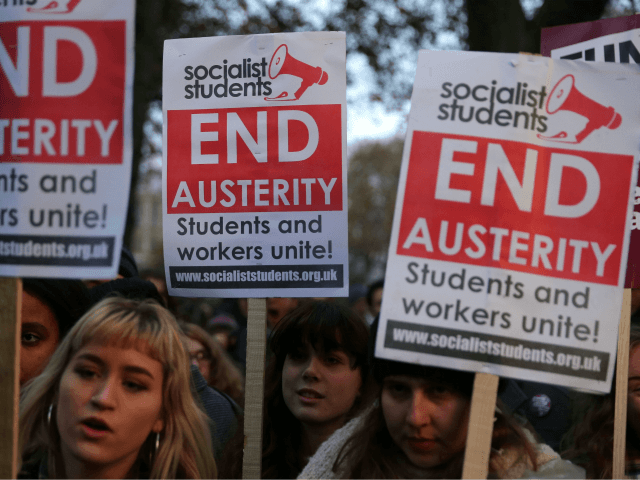 “For too long universities in Britain have been taking both taxpayers’ and students’ money and giving them an extremely skewed view of the world,” he added. On Thursday, Breitbart London reported that university academics are plying their students with ‘Stop Brexit’ propaganda at lectures, after Tory MP Paul Scully shared on social media anti-Brexit leaflets that had been given to his daughter, an engineering student. Respondents to the survey also anonymously shared their experiences of being a conservative on campus, with some saying they did not “feel safe” sharing their political beliefs should it influence their assessments or even job prospects, with lecturers verbally abusing those with pro-Brexit opinions. “I didn’t risk writing anything that could be construed as anti-EU/pro-Brexit in my EU law exam,” wrote one conservative student. “I work in a university – the extent to which some academics are seething and/or emotionally unstable on this issue [Brexit] is so great that it is impossible for them not to carry considerable bias into their lectures. There will also be a huge amount of confirmation bias and groupthink, given the leanings of students on these issues,” wrote another. There has also been an increased crackdown on students’ access to conservative thought from outside speakers. Mail Online revealed on Friday that King’s College Students’ Union has been paying ‘safe space’ marshals to attend speaking events and they are instructed to take “immediate action” should anyone express opinions thought to be offensive. At a talk on Wednesday at King’s College, Brexiteer and grassroots favourite to be the next leader of the Conservative Party Jacob Rees-Mogg was watched by three such marshalls.